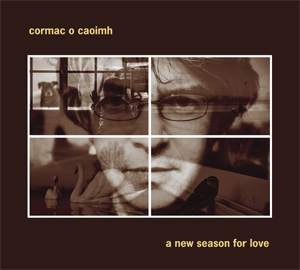 Once the former leader of Irish group The Citadels, Cormac O’Caoimh branched out to a solo album with 2007’s ‘Start A Spark’. It was an occasionally great but rather mixed affair which seemed caught between a rock and a folk place. Five years on, the singer/songwriter has taken his time on the follow-up but he’s certainly put it to good use. From the off – courtesy of ‘There’s Gold There Somewhere’ – the mood is relaxed and blessed with a similar rainy day atmosphere to Ben Watt’s ‘North Marine Drive’. To bring up a modern day reference, the effortless melancholia of Kings Of Convenience can be heard in the title track too. However, to make these (albeit favourable) comparisons only scratches the surface, O’Caoimh sounds more comfortable now than ever. ‘And The Rain Falls’ and ‘Head On’ are beautifully tender folk songs but even they are bettered by the heartfelt ‘100,000’. There is a slight tail-off in quality as the album draws to a close but ‘Heart Attack’ makes a convincing bid for a bluesier Nick Drake whilst ‘Just Love Here’ is a romantic and touching closer. A criticism of O’Caoimh might be that he tried too hard on past releases but here he keeps things simple and the result is a cohesive and excellent album. What is more, his voice is a wonderfully expressive instrument.